It is now the location of Malta's national stadium and the site of the Malta Aviation Museum Ta'Qali Craft Village. From 1948 until the 1970's it was used by Flight Refuelling Ltd, after which it was for gliding until 30 Sep 1980. *The MU site was renamed Stoke Heath on 22 Mar 1942. It was a sub-station of No 62 Base from 18 Jun 1943 to 14 Jul 1945. 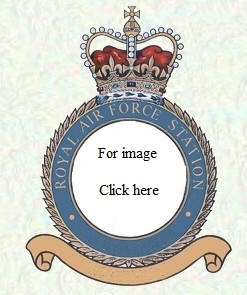 It was HQ No 6 (RCAF) Group Training Base from 25 Mar 1943, which was redesignated No 61 Base on 16 Sep 1943. On 9 Nov 1944 it was transferred to No 7 Group as HQ, No 76 Base, remaining as such until disbanding on 1 Sep 1945. It is now known as Tiruchirapalli International Airport, but was originally called Kajamalai.